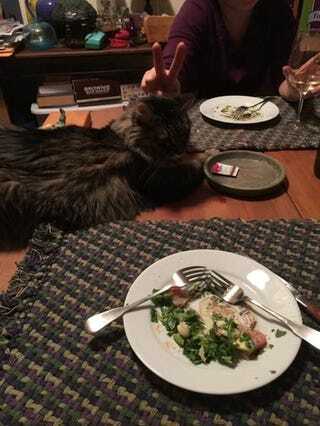 In which our dinner companion is mocked, but does not know it. or: serfs find a brief moment to take furry overlord down a peg. I'm really not sure why I have two forks, though.